together on site. 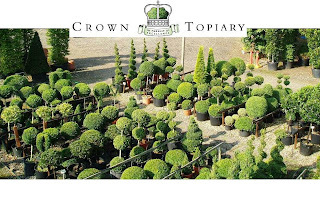 Wendy and Neat's nursery, Crown Topiary, is based at 234 North Road Hertford, SG14 2PW the phone number is 01992 501055 and their web site is www.crowntopiary.co.uk . t is very useful information and I have learnt lot of things from your blog. Home renovation Melbourne give more place in existing house.